You see a map that demonstrates territory of Russia. You can find here city Kotlas presented. On this map city Koryazhma for Garmin. You can find here city Velikiy Ustyug for Garmin. Displayed city Mirnyy download for free. 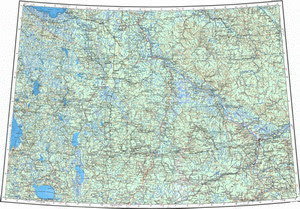 On this map city Mirnyy marked. Displayed city Vel'sk presented. On this map city Onega free download. Displayed city Nyandoma download for free. You can find here town Vychegodskiy marked. On this map town Konosha presented. town Yemetsk presented. town Luza presented. You can find here town Vytegra marked. Displayed town Belozersk free download. On this map town Kargopol' presented. You can find here town Plesetsk download for free. You can find here town Pudozh download for free.